On April 25, 2015, a devastating earthquake rocked Nepal. As it ripped across the Himalayas, it wiped out villages and left thousands dead. Hear the harrowing stories of the Nepalese people who lived near the epicenter and of survivors trapped on Everest. Through dramatic eyewitness footage, expert interviews, and stunning graphics, NOVA reveals the anatomy of this megaquake while scientists race to answer urgent questions: Is another big one just around the corner? 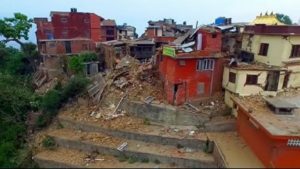 What can we learn from the deadly combination of earthquakes and landslides? And can we rebuild to survive the next big one? On CPTV: Wednesday, April 5 at 9 p.m.